Barcode Scanner | Palm Harbor, FL - TAB Data Resources Inc.
We have all your code scanner needs in one place. Whether you have ticket scanners that need repaired, or you need a specific part, like a new battery, we'll have it and we'll ship it to you fast. We also have many accessories, refurbished and used parts, and new surplus parts. Get fast turnaround and the best quality control with our service center. We refurbish and resell price scanners at our eBay™ shop, where all our services may be ordered and products may be purchased or sold. Let us know if you have portable data terminals to sell, as we're always in the market to buy. 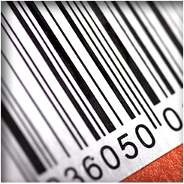 TAB Data Resources Inc. is the barcode scanner specialist in Palm Harbor, Florida. We buy, sell, and trade portable scanner equipment worldwide. We frequently have used, refurbished, or new surplus scanners for sale at great prices. We're unique in that we make scanner parts for several brands. Fix your equipment and save. 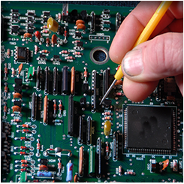 We cater our repair and refurbish services to both individuals and resellers. Our owners came from the barcode and scanning products industry, so even though we are a small operation, we have more than 44 years of experience. One partner does the repair side of our business, and the other partner handles billing, resale, and eBay™ management. All our parts are readily available to make repairs and ship products fast. We have a great reputation with resellers in the industry, and a mutual love with our customers. After all, we're all in the same barcode family. If you want quantity and quality parts, we're the shop for you.